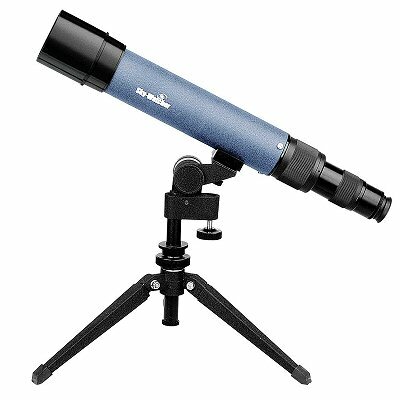 This simple inexpensive spotting scope is the perfect instrument for bird-watching, nature study and night-sky observation. The telescope houses a fully-coated optical system to ensure high image quality. The table-top tripods are light-weight yet sturdy. The mounting block on the bottom of the scope features 1/4inch-20 threading for a standard camera tripod attachment. The ST2060 comes standard with a camera adaper tube for direct attachment of SLR camera (with appropriate T-ring attached).